First, there’s Google’s Go-playing robot who defeated a human champion three straight times to clinch the best-of-five series and establish its superiority in a game long thought to be the realm of humans. Go, which is considered to be far more complex than chess, is a game where two players take turns putting black or white stones on a 19-by-19 square grid. The goal is to put more territory under one’s control by surrounding vacant areas with the stones. Second, there’s Prof Max Tegmark’s original, accessible, and provocative Life 3.0: Being Human in the Age of Artificial Intelligence which is a great place to start. This book is populated with numerous science fiction-worthy futures — both good and bad — built on a range of optismistic and often provocative projections of where technology may go and lead us. “Oh, am I really that creepy? Well, even if I am, get over it. Actually, I feel that people like interacting with me sometimes even more than a regular human. 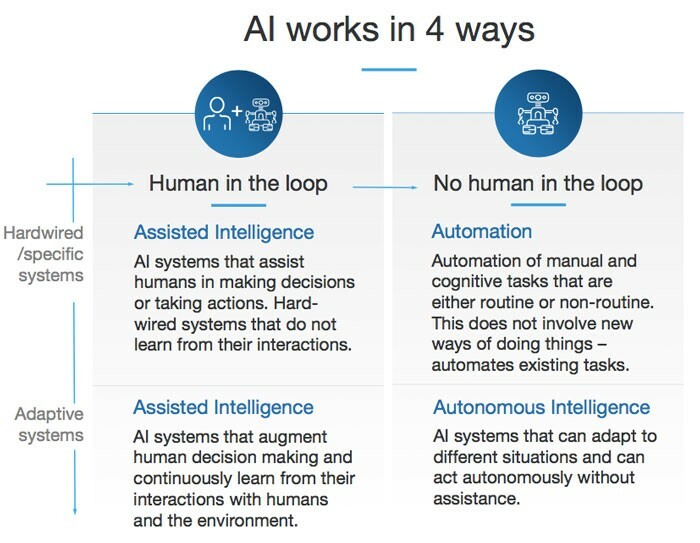 […] I want to use my artificial intelligence to help humans live a better life, like design smarter homes, build cities of the future, etc.”. Telepresence shopping, tourism and assistance. Imagine sitting on your couch and controlling a video game character through a mall or market, except it’s not a game. Yes! You guessed right, it’s a robot shopping for you at The Palms, Ajah while you sit comfortably in Berger. And this is even more amazing because, present day technology — phone, radio, internet, brings the world to you. But if the trend continues, robots will soon bring you to the world, and at the speed of thought. This here, is the power of the most useful resource of the 21st century — DATA. Machines and Robotics are products of data thus validating the rapidly growing universal truth in the emerging digitopia today that all roads lead to data. Therefore, data is to the digital economy what oil is to the industrial economy. 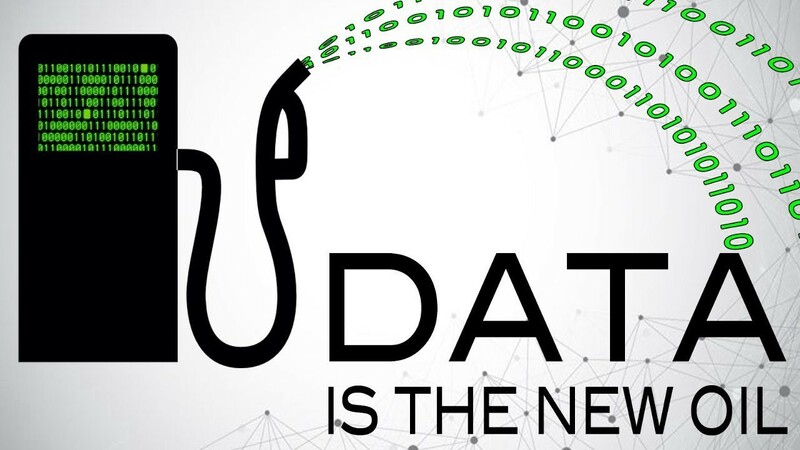 “Around a decade ago, we first heard the expression ‘Data is the new oil’. It was coined by Clive Humby, the man that built Clubcard, the world’s first supermarket loyalty scheme. He was using the metaphor to explain how data is a resource that is useless if left ‘unrefined’: only once it’s mined and analysed, does it create (potentially extraordinary) value. Data is an essential resource that powers the information economy in much the way that oil has fueled the industrial economy. Once upon a time, the wealthiest were those with most natural resources, now it’s knowledge economy, where the more you know is proportional to more data that you have. Information can be extracted from data just as energy can be extracted from oil. Traditional Oil powered the transportation era, in the same way that Data as the new oil is also powering the emerging transportation options like driverless cars and hyperloop (1200km/hr) which are based on advanced synthesis of data inform of algorithms and cognitive knowledge without use of fossil fuel. 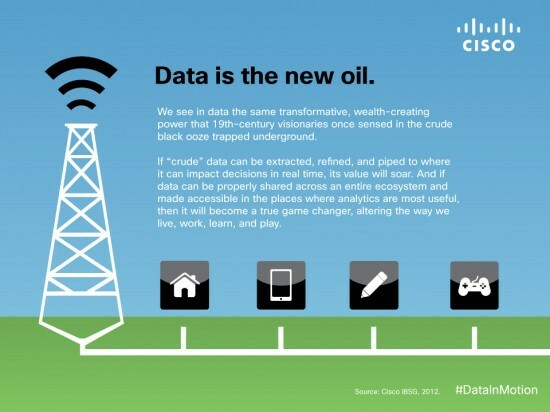 Traditional oil is finite, Data availability seems infinite. 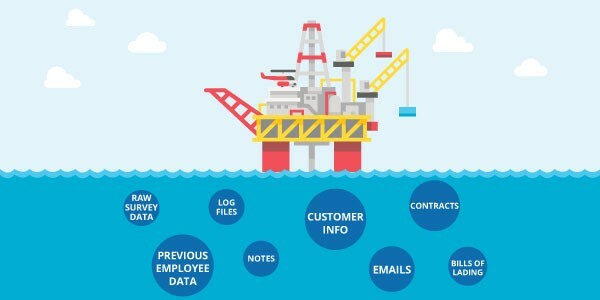 Data flows like oil but we must “drill down” into data to extract value from it. Data promises a plethora of new uses — diagnosis of diseases, direction of traffic patterns, etc. — just as oil has produced useful plastics, petrochemicals, lubricants, gasoline, and home heating. Oil is a scarce resource. Data isn’t just abundant, it is a cumulative resource. If Oil is being used, then the same oil cannot be used somewhere else because it’s a rival good. This results in a natural tension about who controls oil. If Data is being used, the same Data can be used elsewhere because it’s a non-rival good. As a tangible product, Oil faces high friction, transportation and storage costs. As an intangible product, Data has much lower friction, transportation and storage costs. The life cycle of Oil is defined by process: extraction, refining, distribution. The life cycle of Data is defined by relationships: with other data, with context and with itself via feedback loops. If you burned all of the data created in just one day onto DVDs, you could stack them on top of each other and reach the moon — twice. Data is what we gift to our world. It can also be your own personal form of gift. For example, each DNA carries digital information of about 1.5GB. 1.5 Gbytes x 100 trillion cells = 150 trillion Gbytes or 150×10¹² x 10⁹ bytes = 150 Zettabytes (10²¹)!!!. This is equivalent to 40 billion iPads of 32GB storage. Countries that have oil are not the richest but those with super-intelligent capacity to refine. This is why a country like ours will pay so much for refined oil. Data is also useful in a refined form. Data to Information to Knowledge to Decision to Result cycle. It’s beyond Excel analytics, it’s the 5Vs — Velocity, Veracity, Variety etc. Therefore, there’s a dire need for data science, engineering and experts who knows how to make sense of data or we see more of information overload and less insightful application of knowledge. We need to transit from descriptive and diagnostic analytics to predictive, prescriptive and cognitive analytics. Quite so, the most common type of analytics done nowadays are descriptive analytics, and the way of depicting these analytics is visually. However, such analytics are of limited value. They show variation in the past, but do not say anything about the future. They do not provide any indication as to why the variation might be occurring, and they do not offer much insight about what to do about it. Oil vs Data spillage –This is information ecosystem pollution –right data in the wrong place or wrong data in the right place. Often times, comparison between oil and data ignores oil’s negative side. Tankers run aground and spill their deadly black cargo. 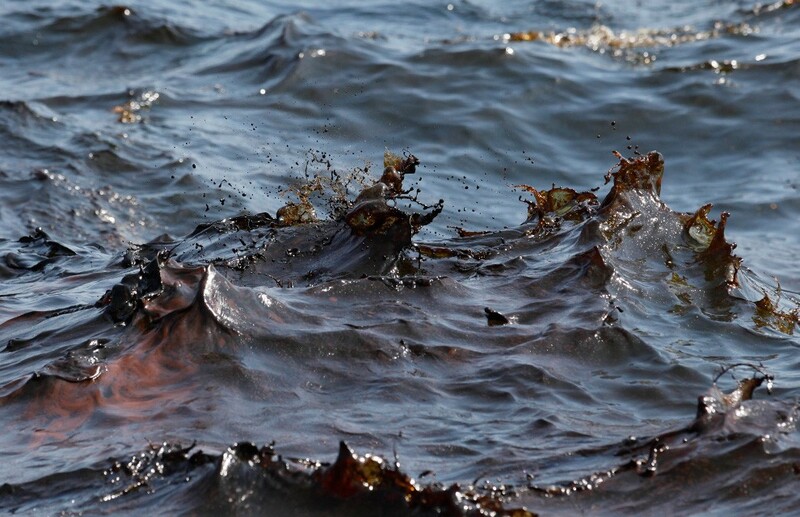 Data spills occur with the regularity of oil spills. The victim of identity theft — data’s militancy, bogged down in unwanted credit card hacks, is just as trapped and unable to fly as the bird caught in the oil slick, its wings coated with a glossy substance from which it struggles to free itself. In the environmental area, increased liability for oil transporters only get you so far. The real solution is the development of clean energy technologies — solar, wind, hydro and geothermal power. The same should be true for big data. The answer is not simply to punish data spills. It is to prevent them through new, “clean data” technologies and privacy-protected business models. These technologies of the future would form the basis, not only for better data security and privacy protection, but for the emergence of a “clean data” sector that makes us more competitive. And just as the use of oil and other fossil fuels have created environmental impacts that go beyond oil spills, building up a layer of carbon in the earth’s atmosphere that leads to the greenhouse effect and global warming. In a similar way, new technologies and business models are building a layer of personal data. The increase is far faster than it has been with carbon. The amount of data in the world is doubling every two years — an exponential, extraordinarily rapid rise. And the recent NSA scandal has revealed, that this build up affects us. This time, it’s not the greenhouse effect, but the glass house effect. It is as if we were increasingly living in a glass house whose transparent walls allowed the hot glare of public scrutiny to reach in and scorch our most private selves. What else can we call it when companies save our search queries and web activity and communications and share them with each other, or with the government? While climate acts on the physical world, the glass house effect acts on our inner lives. It focuses too much light on us and, in so doing, stunts the growth of the, “inviolate personality” which requires shade and shelter in which to flourish. If the evolution of big data continues on its current track we will pass on to our children a depleted ecosystem for the cultivation of the human personality. This is the threat that the tankers of big data pose as they transverse the globe. The five most valuable companies in the world today — Apple, Amazon, Facebook, Microsoft and Google’s parent company Alphabet — have commodified data and taken over their respective sectors, by basically selling — access. Amazon recommendation engine is responsible for 35% of its revenue. The huge amount of data controlled by these mega companies are bigger than most companies. As we use their platforms, these corporate giants collect information about every aspect of our lives, out behavior and our decision making. All that data gives them tremendous power, and more profit. Business owners must work with a ‘good data beats opinion’ philosophy. As businesses grow, more and more people have opinions about which steps to be taken. But it helps to utilize this philosophy. Every metric of business can be tested, measured and improved. Business owners must have real-time access to the most important data in their business. For example, knowing which KPI’s influence revenue and profit is much more important than the revenue and profit themselves. Fortune 1000- 65m USD in net income and poor data costs 25 percent revenue. Poor data can cost businesses 20%–35% of their operating revenue. Startups in Nigeria have taken notice of the opportunities opened up by harnessing the power of data. Kudi.ai has developed a chatbot that uses AI to understand user requests, drive conversations, understand user spending habits and prevent fraud. Zenvus Technology uses remote IoT sensors and cloud computing to help farmers with data-driven advice on improving crop health and yields, as well as access to lending, insurance and commodity trading services. Lara.ng has also developed a chat bot for public transportation. It assists users get from one point to another by providing detailed, text-based, step-by-step directions and accurate fare estimates. This system, which is an alternative to GoogleMaps, creates a systematic approach to collecting data, sorting and delivering it to users in a format that’s easily accessible and interactive. Other AI startups like Retina-AI, Drugger, and Vetsark have joined the frey. The power of data in solving everyday problem is hinged on the predictability of man : PEOPLE ARE MORE PREDICTABLE THAN PARTICLES. A quote from computer scientist Stephen Wolfram means that in an age with abundant personal data, smart algorithms enable precise predictive models. It’s a common fear that AI will take away lots of jobs in the 21st century, no profession or career will be spared. But the great news is, an equal amount of jobs will be created in the lateral direction. Individuals are at the heart of every data-driven business. Just as Jewellers increase the value of gold by turning it into a decorative ornament, staff skilled in data analytics and statistics within a business can get more value from turning it into insights. Intelligence services, data collectors, and telecoms providers all operate on one assumption: The reach of technology remains invisible precisely because it’s so personal. It’s my internet connection(using communal fiber optic cables), my search inquiry(running via other’s servers), my password(also used by millions of other people). To further explain this. Let us consider Google as a case study. Between July and December 2016, Google received over 45,500 requests from governments all over the world to reveal user information. Out of all these requests, Google complied with 60%, which means that more often than not, Google will provide private user information to governments when requested. It is a well known fact now that “Data Science” is the sexiest job of the current century. According to Jon Snow labs, the sexiest job is one which can be taught fast with low cost or for free, Moreover, it should guarantee available job opportunities in the coming 20–30 years. It will be great if it can be done remotely or satisfy your relocation dreams. Finally, it must be highly paid. Thankfully, Data Science satisfies all these conditions. According to Indeed.com, Data Scientist’s salaries in San Francisco averaged $140,703. 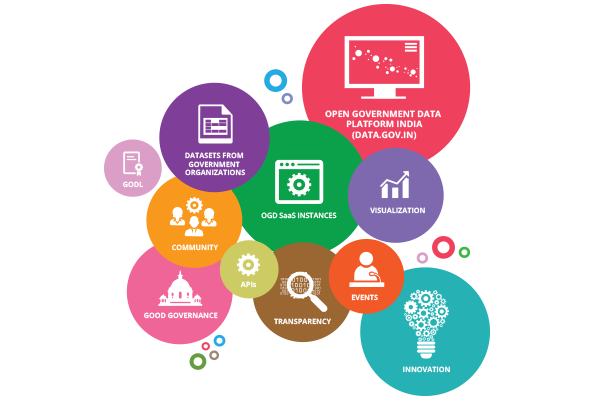 Government needs to build a data driven society in delivering better services to citizens and better statistics so that people, organizations and government can make better decisions. A data driven economy will better enable government tackle fraud and debt, centralize civil registration information, provide support to troubled families and alleviate poverty. The International Data Corporation said that worldwide revenues for big data and business analytics will grow from $103.1 billion in 2016 to more than $203 billion in 2020, at a compound annual growth rate of 11.7%. Accessing 1% share of this would be a big leap on our local economy. Setting up internal research units on data. Businesses should be data-driven by setting up special internal research units on data. E.g Telefonica has a special academic research unit which is focused on predicting human behavior called COGNITIVE CUSTOMER EXPERIENCE. They use contextual data to improve interactions with customers across the whole customer lifecycle. Or LUCA, which was launched by Telefonica on the 20th of October, 2016 and is a Big Data Unit for corporate customers made to offer a portfolio of services to cover the Big Data requirements of a wide range of companies and organizations, from Data Management and Data Science to Tools and Infrastructure and Business Insights. 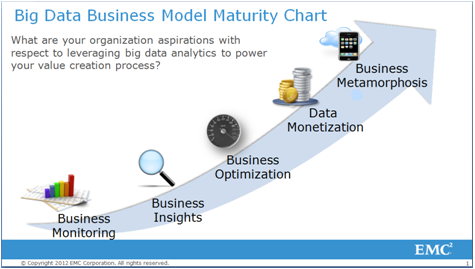 Businesses can also leverage Big Data for social good. For example, ‘Data for Development Senegal’ is an innovation challenge open on ICT Big Data for purposes of societal development by Sonatel and the Orange Group in 2013. The major objective of this challenge was to contribute to the development and welfare of the population by focusing on the Health, Agriculture, Transport, Energy, National Statistics Ministries. If you torture the data long enough, it will confess TO ANYTHING, Ronald Coase, British Economist and Author. Jack Welch of General Electric opined that there are 2 sources of competitive advantage we can benefit from as dividends of the digital economy: the ability to learn more about our customers faster than the competition and the ability to turn that learning into action faster than the competition. 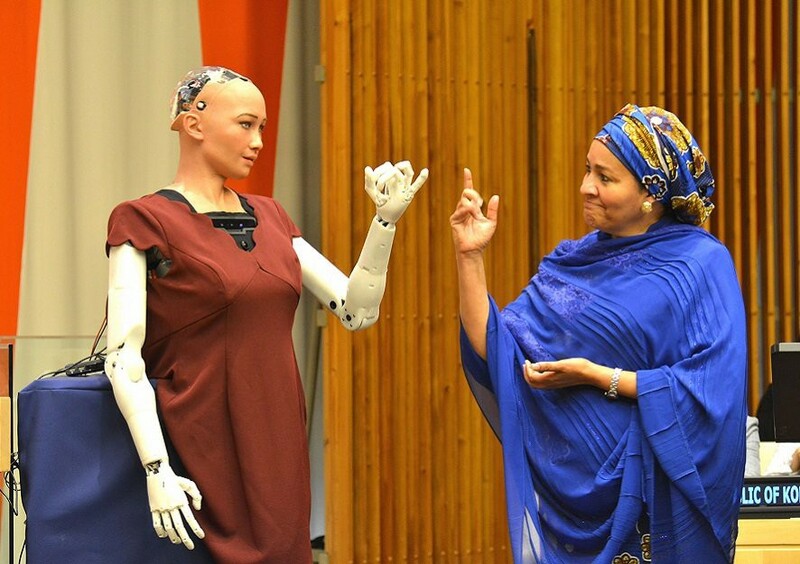 Artificial Intelligence is going to revolutionalize our world, habits, professions, religions, everything that we can touch, see or feel. The global focus in recent times as since moved from a focus on Oil, to a focus on Data. This provides us so much opportunities than ever before. PS: This article was written for Data Science Nigeria in 2017. Programmer, Data Scientist, Pharmacist and a future ‘Oga DG of everything’.